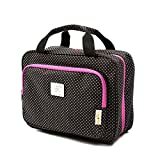 i Click 'view all' to instantly compare this good deal with offers on other top toiletry bags & vanity cases for women. 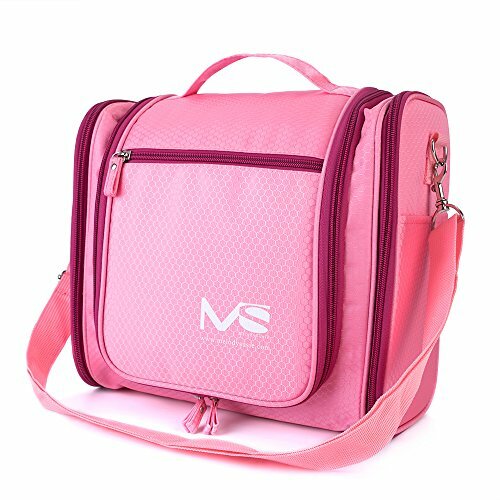 Large Hanging Pink Toiletry Bag for Women Travel Cosmetic Bag is currently selling at $19.89, approximately $0.15 lower than average, giving a potential saving of $3.10 right now. With a lowest price of $19.89 and an average of $20.04 it is selling on the low end of its usual range. Price volatility is 0.45% (meaning it does not change often), so the price should stay low for a while. Right now this product is a recommended 'good deal'. There is a coupon available for an additional 6% off. The current deal is also the best price on this item over the last month. 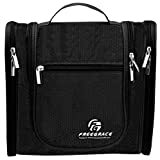 Compare the current price, savings (in dollars & percent) and Buy Ratings for the top Toiletry Bags & Vanity Cases For Women that are closely related to Large Hanging Pink Toiletry Bag for Women Travel Cosmetic Bag. 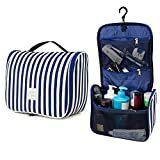 Here is how Large Hanging Pink Toiletry Bag for Women Travel Cosmetic Bag compares with other leading Toiletry Bags & Vanity Cases for Women.